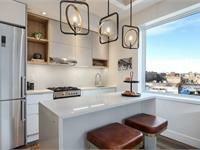 26 East 19th Street is a new condo development at 26 East 19th Street, Kings County. The development was completed in 2017. 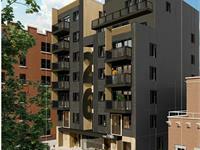 26 East 19th Street has a total of 26 units. 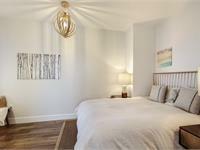 Welcome to 26 E 19th, the first high-end condo in Prospect Park South with a full amenity package, thoughtful and stylish finishes, efficient layouts, a 15-year TAX ABATEMENT, and private outdoor space with almost every unit. 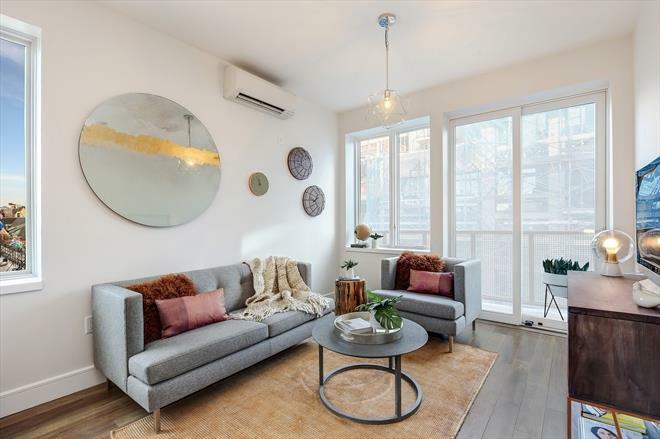 Situated a few blocks from Prospect Park, and express subway trains (B/Q) just a block away on bustling Church Avenue, this is the perfect opportunity for savvy buyers and investors to get into an emerging market with no compromises. Situated at the crossroads of Prospect Park South, Ditmas Park and Prospect Lefferts Gardens, you will be surrounded by a combination of tree-lined and architecturally significant neighborhoods interspersed with excellent shopping, dining and cultural opportunities, including the recently restored Kings theatre on Flatbush, as well as Prospect Park. 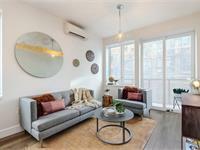 Enjoy the perfect marriage of mid-century minimalism coupled with the warmth of Brooklyn modern industrial in these 26 units that include mostly two bed, 1.5 bath units, and two dramatic penthouses with panoramic views over the Park and Brooklyn skyline. 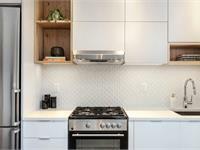 Kitchens are the epitome of clean lines and practical workspace, defined by White and Gray Matte Lacquered cabinetry, snow white Quartz countertops with a waterfall edge, and a striking backsplash of white Honeycomb Subway tile. A stainless appliance package and Kraus chrome faucets complete the package. 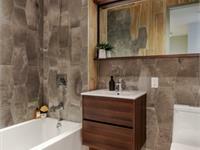 Striking bathrooms include an oversized limestone hexagonal tile with warm wood accents. Additional features include custom light fixtures, washer/dryer hookup, wide-plank fumed oak floors, oversized windows, and sliding glass doors to your own private balconies. Building amenities include a resident's lounge, a rooftop lounge, fitness center, bike storage, screening room, and a storage cage with every unit. Make an appointment today to get the last good deal in Brooklyn! Your inquiry will be delivered to the developer / builder of 26 East 19th Street, who will send you more information about this development.